In Jackie as Editor, journalist Greg Lawrence reports that Jackie was seeing a psychoanalyst and doing hard thinking about what to do with her future. Aware of her love of books, friends suggested that she try her hand at something in the publishing world. Following up on the suggestion, Jackie approached Thomas Guinzberg, head of the Viking Press, one of the smaller and more highbrow of the major New York publishing houses. Guinzberg was an old friend who had been a Yale classmate of Jackie's stepbrother. Guinzberg told Lawrence that he was initially "thunderstruck" by the idea of Jackie working for Viking but he offered her a position with the vague title of consulting editor. Her main duties, at least at initially, would be to use her famous name and unrivaled social contacts to help acquire books. The only other consulting editor then at Viking was the eminent Malcolm Cowley whose criticism and editorial work helped shape the canon of twentieth century American literature. Jackie wasn't totally without experience with the book trade and writing. As First Lady she instigated the creation of an official guide to the White House and worked closely with the National Geographic Society in putting the guide together. After leaving the White House she offered extensive comments to an early draft of Kennedy, former JFK aide Theodore Sorenson's now classic biography of the slain President. As a college student Jackie wrote a series of essays that won a Vogue magazine competition. The prize was a job as a Vogue staff writer. Caving in to pressure from her mother, young Jackie turned down the job. In 1974, Jackie wrote an unsigned piece on the opening of the International Center for Photography for The New Yorker. credited as Edited by Jacqueline Onassis. In September 1975, Jackie began work at Viking, earning $200 for a four-day work week. Her special status was reflected in her getting a small office with a window rather than typical entry level job space. Senior editor Barbara Burn was impressed by Jackie's eagerness to move beyond merely using her celebrity to bring authors to Viking. Burn told Lawrence that Jackie "did what we all do -- she apprenticed...Jackie was willing to start at the beginning, reading manuscripts and writing reports and so on." Daniel Okrent was also a Viking editor at time. He recalled to Lawrence "I wouldn't say it rose to the level of resentment, but there was some rolling of the eyes: What the hell does she know about book publishing or about editing?...She's here because of her social connections with Tom, yaddee-yadda. But when she came in she did not have any airs that reflected any of that, so I think that even those who might have been skeptical...were convinced." Jackie's first book for Viking was Remember the Ladies (1976), a companion volume to an American Bicentennial traveling exhibition on the role of women in eighteenth century America. Jackie with Bryan Holme, c.1977. From the start Jackie showed a particular talent for illustrated books and she became a protege of sorts to Bryan Holme who ran Viking's art-oriented Studio Books imprint. Burn told Lawrence -- "Jackie had a good innate sense of what made a fine illustrated book, and I know she learned a tremendous amount from Bryan Holme...about layout and the way in which text and pictures should work together." Jackie's colleagues were surprised to find that she smoked (her carefully done hair and beautifully tailored office attire often carried a faint smoky odor) and they marveled at the ease with which she handled attention from the public. At times Jackie seemed to ask for notice by choosing window seats in restaurants, vigorously hailing taxis, and striding down Manhattan sidewalks wearing her trademark dark glasses. At work, however, Jackie was determined to be just one of the gang. Gael Towey who worked with Jackie at Viking recalled to Lawrence -- "[Jackie] would go around and take lunch orders. She'd say, 'Gael, would you like a tuna fish sandwich?' With her whispery soft voice, she'd make a tuna fish sandwich sound like it was the most exotic thing in the world." 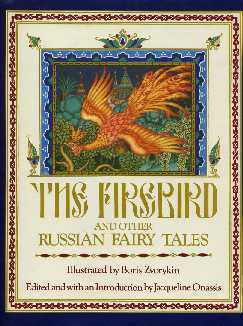 Jackie allowed only two books -- In the Russian Style (1976), a lavishly illustrated volume on clothing and artifacts from Czarist Russia, and The Firebird and Other Russian Fairy Tales (1978), adaptations of Russian folk tales with classic illustrations by Boris Zvorykin -- both done early in her career, to carry the official credit "Edited by Jacqueline Kennedy Onassis." Lawrence quotes Jackie as saying "One of the things I like about publishing is that you don't promote the editor -- you promote the book and the author." The first novel Jackie helped bring to publication was Sally Hemings, a fictionalized account of Thomas Jefferson's relationship with his slave mistress Sally Hemings, by Barbara Chase-Riboud. Chase-Riboud, a poet and sculptor, was a first time novelist and Jackie provided much needed encouragement through many rewrites. "Jacqueline practically forced me to do this book," Chase-Riboud recalled to Lawrence, adding that Jackie's experience as the wife of a President gave her special closeness to the novel's subject matter. Jackie left Viking abruptly in 1977 after a much publicized brouhaha over Shall We Tell the President?, a thriller novel by Jeffery Archer built around a planned assassination of an American President. The Kennedy family publicly excoriated Viking for publishing the book. A New York Times review dismissed Archer's novel as "trash" and pointedly added that "Anybody involved with its publication should be ashamed of herself." Lawrence reports that a defensive Jackie claimed she had heard about the Archer novel only after getting wind of it from contacts at other publishing houses. She felt betrayed by Guinzburg for giving the impression to the press that she had been fully aware of the book and had approved of Viking taking it on. Guinzberg had a different memory of events, recalling to Lawrence that he had briefly discussed the book with Jackie before committing to anything. She told him that she didn't want her presence at Viking to prevent the company from taking on the kind of commercial project that it needed to finance its loftier offerings. Jackie raised no objection to the book as long as she would have nothing personally to do with its publication. After her resignation from Viking Jackie took a break for a few months, then, in early 1978, joined Doubleday where she had friends on the staff, including its CEO, John Sargent, Sr. Doubleday was much larger and more profit-driven than Viking and did not seem a good fit for someone with Jackie's often esoteric interests. Doubleday editor Harriet Rubin recalled to Lawrence -- "What I most remember is how she would operate in weekly editorial meetings...When her turn came to present her ideas, she trilled about projects that would have gotten anyone else fired for being ridiculously uncommercial: a collected Pushkin, an American Pleiade, an illustrated children's book based on a tale in Vasari of Leonardo crafting artificial insects. She lost these battles." In time Jackie adapted to the bottom-line oriented style that prevailed at Doubleday, a way of doing business that was spreading across the publishing industry generally as publishing houses were being absorbed by international conglomerates. Doubleday became part of the German firm Bertelsmann in 1986. Viking was purchased by the London-based Penguin Books in 1975. After years of mergers within the publishing business, Doubleday and Viking today survive together as imprints of an entity called Penguin Random House. Despite the increased pressure to achieve big sales, Jackie managed to work primarily on books with subjects that followed her genuine interests such as American, French, and Russian history. Titles she edited in these areas include False Dawn: Women in the Age of the Sun King (1984) by Louis Auchincloss, The Last Tsar (1992) by Edvard Radzinsky, and To the Inland Empire: Coronado and Our Spanish Legacy (1987) by Stewart Udall, who had been JFK's Secretary of the Interior. Dance was another of Jackie's abiding interests and an autobiography by the ballet star Gelsey Kirkland gave Jackie her first bestseller. 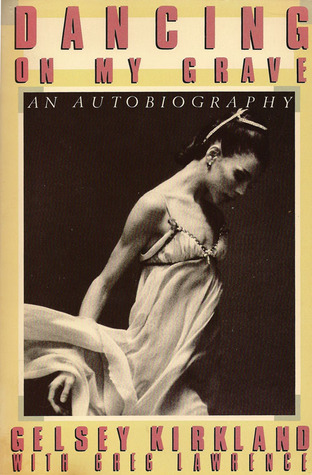 Dancing on My Grave, co-authored by Kirkland's then husband Greg Lawrence (who later wrote Jackie as Editor) unsparingly details Kirkland's struggles with substance abuse, anorexia, and the sometimes torturous demands of ballet. Jackie worked with Kirkland and Lawrence on a follow-up book, The Shape of Love (1990), which chronicles Kirkland's professional resurgence after overcoming her personal demons, and The Little Ballerina and her Dancing Horse (1993), a children's book which Lawrence says was "based on specific instructions that Jackie gave us to write a story about two of her childhood passions -- ballet and horses." Lawrence calls the book "saccharine" but says that "Jackie loved it and wrote me a letter saying that she was reading it aloud to all the children in her life." Other dance related books Jackie edited include Blood Memory by Martha Graham, Dancing Spirit by Judith Jamison, and I Remember Balanchine by Frances Mason. One of Jackie's most blatantly commercial efforts was a project she instigated in 1984 with singer Michael Jackson. Jackie and her bosses at Doubleday knew little about Jackson except that he was enormously popular with young people, including her children. Jackie flew to California and got Jackson to sign a contract. Soon, however, it became apparent that he had no real interest in writing a book and just wanted the opportunity to have further interaction with Jackie Onassis. The Jackson project took four agonizing years to complete with Jackson pushing for a fluffy photograph oriented book while Jackie and Doubleday sought a revealing autobiography. With the assistance of a string of ghostwriters an unsatisfactory compromise eventually was cobbled together and released in 1988 under the title Moonwalk. Jackson insisted that Jackie write a preface to the book. Though she was fed up with Jackson and considered Moonwalk a major disappointment she complied with three brief paragraphs starting with "What can one say about Michael Jackson?" According to Lawrence, Jackie never exhibited any desire to write her own life story. She insisted to friends that she much preferred being active in the present to ruminating on the past. 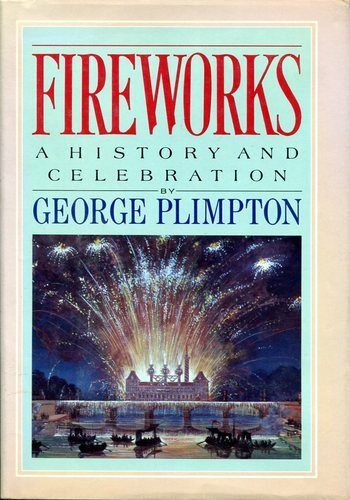 Jackie's friend, the writer George Plimpton, whose book Fireworks: A History and Celebration (1984) she edited, offered his assistance in putting together some kind of memoir. Jackie turned down Plimpton's offer saying -- "I don't really want to sit at a window looking out at a field and feel that life is going by." Jackie was not required to show up at the office every day. She did much of her work at her spacious Fifth Avenue apartment and was prone to telephoning authors at odd hours. She took piles of manuscripts to her getaway in New Jersey horse country -- usually speeding there in her old BMW -- and to her summer place on Martha's Vineyard. After failing to get singer-composer Carly Simon, a Martha's Vineyard neighbor who became her close friend, to write an autobiography, Jackie edited a series of children's books written by Simon, starting with Amy and the Dancing Bear (1989). Among Jackie's most significant projects for Doubleday was acquiring the rights to the novels of the Egyptian writer and Nobel Prize winner Naguib Mahfouz and arranging for English language translations. Jackie, who was fluent in French and Spanish, first read Mahfouz's work in French translations. She lobbied hard against Doubleday's reluctance to take on the work of a foreign language author. The Mahfouz books, especially The Cairo Trilogy, proved to be long-term moneymakers for Doubleday. Early in 1994, Jackie was diagnosed with non-Hodgkin lymphoma. Telling few people about her illness, she wore a wig to cover hair loss due to chemotherapy and continued to work until shortly before her death. Jackie died at her Fifth Avenue apartment in May 1994. She was sixty-four years old. In his announcement of her passing, her son John Kennedy, Jr. said that she died "surrounded by her friends and her family and her books." "8 Questions for Greg Lawrence, Author of Jackie as Editor." Christian Science Monitor. 8 February 2011. "Jackie O., Working Girl." Vanity Fair. January 2011. "The Literary Life of Jacqueline Kennedy Onassis." Panel Discussion at John F. Kennedy Library (video). July 2012. "Once an Editor, Now a Subject." New York Times. 1 December 2010. Purchasing a residence may likely be the largest monetary transaction that you make. While now not anyone is adept at dealing with such transactions, it isn't always their fault for being unable to make a clever choice because often instances the system is heavily tilted inside the favour of the vendor. this type of material Good and attractive information I take from it..
osobiście wierzę, a także mam nadzieję nauczyć się czytać znacznie więcej. wow good artikel .. go on pls!! A lot of things you can find are not always what they seem. If you are looking for new betting deals, you have to be sure they will live up to their end of the bargain. How easy is it to enjoy the Ladbrokes new customer offer?